We’re here to help materialize your ideas. From our machine shop to your facility. We make sure that the parts we make are exactly what you want within .ooo5″ Inch (.0127mm) tolerance, with a perfect machine finish. The most important thing in manufacturing and ordering precision parts is communication. We ask all the right questions before quoting the job and before making your parts, insuring precision results every time. Aluminum, Steel ,Stainless Steel , Copper , Brass , Bronze , plastic, Acrylic , Lexan, Polycarbonate, Delrin, PVC, HDPE, fiberglass. Our machinists, toolmakers, and engineers are here to help you design and make it. 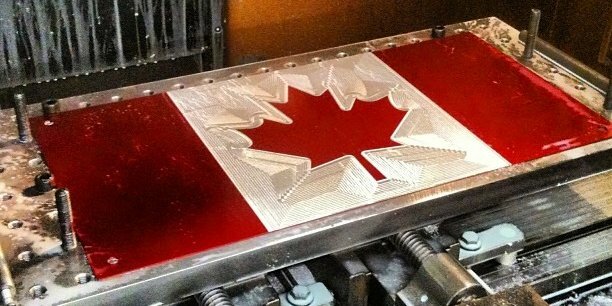 We are the manufacturer with our own machine shop located in Toronto, Ontario, Canada. 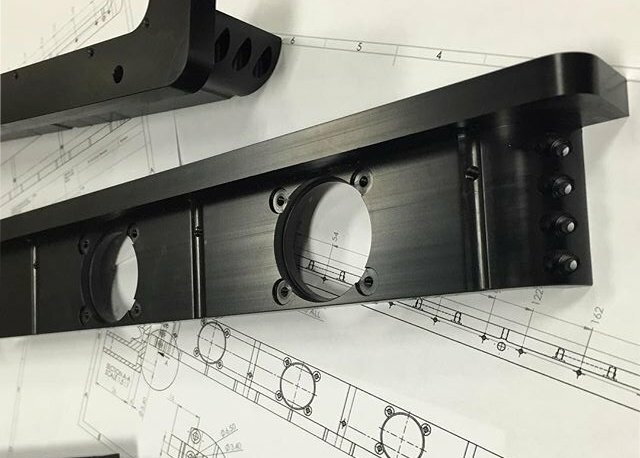 CNC prototype services & production runs for your designs and Modifications. We also rework & re-design your existing parts and products. Email us your PDF Drawing with Dimensions, Include your desired Quantity! Choose what type of material you want your CNC machined parts made out of. You have many options: Mild Steel, Stainless Steel, Aluminum, Copper , Brass, Bronze, Plastics, Black/White Delrin, ABS, Acrylic, Polycarbonate, Lexan, PVC. Provide an engineered drawing, SolidWorks file, a sketch with sizes, a picture, or a sample of the parts you want to make. Please include what type of material and the Quantity you want to make of each part. Upon receiving or completion of your engineered drawing our review and your approval we can start the CNC machining process and machine the metal or plastic to the shape and specifications that you require on the drawing. MUST BE GOOD GRADE ALUMINUM 6061 TO GET BEST RESULTS. YOUR PARTS SHOULD BE PROPERLY BRUSHED, OR HAVE A PERFECT MACHINE FINISHED. ANY IMPERFECTIONS PRIOR TO ANODIZING WILL BE VISABLE UNLESS YOU ACID ETCH THE PARTS WHICH HIDES LIGHT IMPERFECTIONS. PLEASE READ THIS CARFULLY ! No RIMS, they don’t come out good, must be good grade aluminum 6061. No Steel Hardware in aluminum parts, acid will eat away at the steel. No previously powder painted part for strip & anodize re-run. MUST BE ONLY RAW ALUMINUM ONLY. If your parts don’t have holes of some sort for racking purposes then you should be expecting electrical contact point marks on your parts so we can hold them. If your parts don’t have holes the risk of losing a few increases since parts are submerged into different chemicals. Shade of colour: There could be slight differences in shade from one batch to another so letting us hold on to a sample so we can match future orders is good idea. We are not responsible if the shade of colour is slightly off. We do our best but we can not guarantee consistency of shade ever time you send a different batch of parts to get anodized. If you supply material that has scratches, the scratches will be visible after anodizing so surface finish is important. If you supply some odd grade of aluminum or you don’t know the type of aluminum it is, we do our best, however we can not guarantee Quality because some types of aluminum don’t come out well. Parts we make come out perfect. ​2-4 months + for high batch drawing runs , extrusions, machining large parts, anodizing, engraving, silk screening and sub-assemblies. ​We also can stock parts for repeat orders, this way you don’t have to wait 2-3 weeks the next time you want to place the same order. ​PLEASE LET US KNOW IF YOUR PARTS ARE TIME SENSITIVE AND FOR WHEN YOU WILL NEED THEM BY. THIS WILL ALLOW US TO SEE IF WE ARE CAPABLE OF MEETING THE TIME FRAME REQUIRED TO MANUFACTURE YOUR ORDER.